We love to make the most of the English summer – however long it lasts. When warm weather and school holidays combine, the beach is one of the best places to enjoy the sunshine. In England the seaside is cleaner than ever before. Last year 99.5 per cent of swimming spots passed water quality tests compared to just 65 per cent in 1988. You can check the water quality at your favourite beach. The Environment Agency monitors the water of more than 400 beaches each summer and we work with others, such as farmers, local councils and water companies, to help improve the quality of the water. We publish the results from our regular water quality tests on our bathing water website as open data. 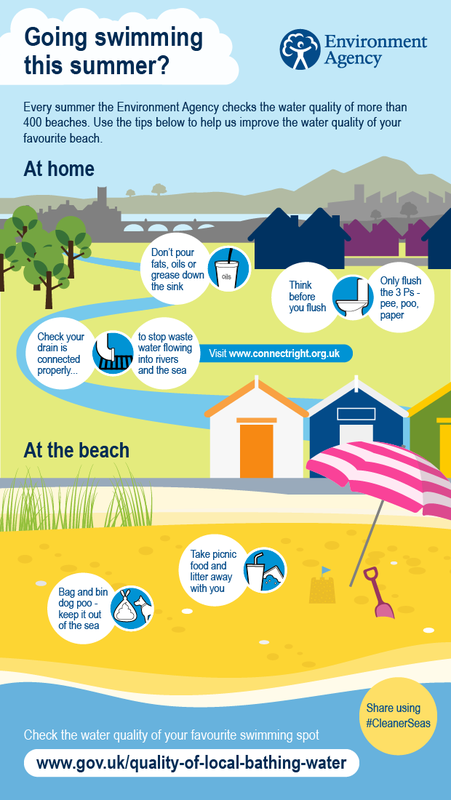 Here’s an infographic highlighting simple things you can do at the beach and at home to improve bathing water quality. Please share these and other tips online using #cleanerseas and follow the Environment Agency’s Twitter account. It’s important to remember that actions you take at home can prevent pollution at the beach. If our plumbing is misconnected, it can takes sewage from our homes straight to local rivers and beaches. In some areas as many as one in five homes have drains misconnected in this way. Find out more from the ConnectRight website. A blog by our Chief Executive recalled a time when raw sewage was dumped into the sea as a matter of course. Since 1990, water companies have spent £2 billion on improvements to protect bathing waters and they have pledged to invest a further £350 million over the next five years. 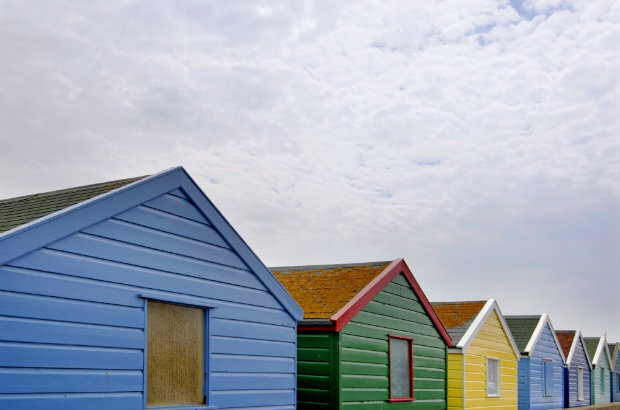 Many of the improvements made to England’s bathing waters have been driven by work with water companies, businesses, farmers, local authorities and homeowners. We've seen encouraging improvements to water quality but there’s still more to do. New European standards coming in to force for the first time this year will be twice as tough to pass. The good news is that the vast majority of our beaches will pass with flying colours. Jonathan Ponting is a senior advisor on bathing water at the Environment Agency.